Three days ago I posted a blog about the re-introduction of white tailed sea eagles to Scotland, since then there have been over 100 views ( it's not exactly gone viral! but does show a level of interest). Across Europe rare and endangered species are being successfully re-introduced and revived. Only Belgium, Denmark, Netherlands and Britain have no breeding population of at least one large carnivore species. (Chapron et.al. ). These rising populations of bear, wolf and lynx in W. Europe are due largely to the EU Habitats Directive which compels member states to protect and revive rare species. When the UK leaves the EU we will lose this compulsion and the possibility of more re-introductions. On average throughout Europe wolves live on land with a population density of 37 people per km sq., lynx 21 per km sq and bears 19 per km. sq. Population density in the Scottish Highlands is 9 people per km. sq. So you don't need a landscape without people to have recovery of large carnivores in the modern European, human dominated landscape. The future for re-introduction looks bleak. Last year a public consultation meeting about the re-introduction of lynx to Kielder Forest in the Scottish Borders resulted in an angry slanging match between those for and those against. The local Tory MP claimed that 90% of locals did not want it, the Lynx Trust claimed that 90% did want it. (Hexhan Courant Mar 2016). 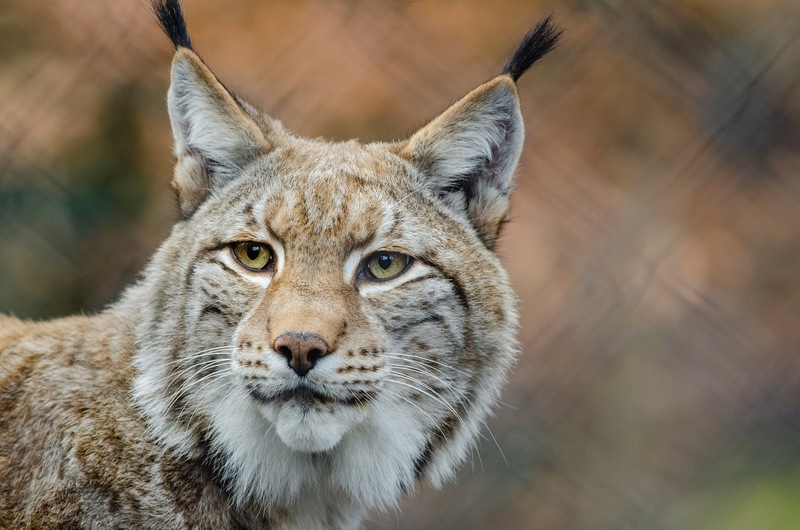 Without EU support and with a right wing Tory government which panders to farmers wildest unscientific claims lynx re-introduction is a long way off. In June 2016 I voted to remain in the EU, leaving, I believed it would be political folly and bring economic catastrophe, I can now add weaker environmental protection and species conservation. Chapron et.al. Recovery of large carnivores in Europe's modern human dominated landscapes, Science,346, pp.1517-1519, 2014. By 1918 landowners and gamekeepers in Scotland had exterminated this magnificent bird that feeds mainly on carrion, In your bird guide you will find that they are listed with the European vultures not the eagles. Forty years ago a project began to re-introduce the white tailed eagle to Scotland by importing young birds from Norway where they are relatively common. From small beginnings on the Isle of Rhum National Nature Reserve the birds now hold an estimated 65 territories on the east and west coasts. On a warm windless day like yesterday visitors to Ardnamurchan can be almost guaranteed to see whitetails soaring over the coast on their three metre wings. Mull is one of their strongholds but they do seem to like a day out here on the peninsula. March is a tough time for hill sheep and red deer, they are at their weakest after the winter, quality food is scarce and the weather can be horrendous so there is lots of carrion. Hamsa captured the white tail in the picture feeding on a badger carcass with a trail camera one day last week. The,"Caledonian Sleeper" - slow train to the Highlands. Every night except Saturday a long sleeper train leaves London Euston station for the North. In the middle of the night the train is quietly reconfigured at Edinburgh; one section leaves for Inverness, one for Aberdeen and mine for Fort William. This morning I had my breakfast, porridge with honey, as the sun rose over Loch Lomond and the train snaked through pine woods below snow covered mountains to Crianlarich. Then coffee on Rannoch Moor where the winter landscape compares with the "Trans-Siberian" where it pulls out of the Urals into the west Siberian steppe in the early morning. At Corrour it only needed Babushkas selling piroshki and beer to make it Siberian. For comfort, convenience and affordability this is the best route to Scotland. It beats flying as ,"walk on cargo", it saves the cost of an hotel, saves a day and you get a romantic adventure, what's not to like about it? For climbers and winter hill walkers it gives access to some of Scotland's most isolated high mountains, bothies and the wildlife. Just before ten o clock we slid beneath the north face of Ben Nevis into Fort William station; on time, well fed and refreshed. Navigating very roughly by the moon. Hamza asked me where East was so that he could site his hide appropriately for the dawn light. I don't have a smart phone with GPS and the compass was in my back pack. so where was East? It was three days after the new moon, so a crescent moon was visible. It's a little blurred in the photograph because the camera was hand held. You can use the moon to find South and if you can do that you can fnd East very roughly but well enough for the direction of sunrise. After the new moon the sun and moon are not together and the moon must be East or West of the sun. In Northern latitudes,if you draw an imaginary line between the two horns of the moon and extend it to the horizon, the point where your line meets the horizon is South of your position. Give it a try some night and check it with your compass, it might save your life if you are lost in the bush. Of course you have to be able to see the moon, it won't work with an overcast sky or in a woodland of tall trees. Always carry a compass! If you disagree with my reasoning add a comment. Black grouse are widespread in Europe from the Alpes Maritime to N. Russia. Here in Scotland they are reasonably common throughout the highlands on the edges of woodland where the trees meet the moorland. In Spring they have a spectacular mating ritual, the "lek". Hamza in his hide , 4.00 am at - 5 C.
Before dawn the male birds fly in to lekking sites where they strut around and have mock flights to try to impress females (grey hens) , they watch from the sidelines. Like human females the grey hens like a man who can dance! Because they are widely dispersed in the landscape they need to meet up like this to select mates and to mate, think of it as "speed dating" out doors. The birds are very loyal to their lek sites and the one we visited last week for Hamza to get some video images I have known for the last 15 years, every year they come back to the same close cropped upland lawn on the forest edge in the early morning. This year both we and the birds were too early for filming, they arrived in the dark and departed in the dark. It was too early in the season. Next month when it's light at 5.00 am Hamza should be more successful and in case you are wondering he does have a licence to film schedule 1 protected species. Happy hens..... outside for the first time in three months. After an outbreak of the H5N8 strain of avian flu in England in November the hens have been indoors until the end of February. Last week they were let out but we have to take a whole range of bio-security measures. Feed and water have to be in the hen houses or protected or wire cages tom prevent access by wild birds. We also have to minimise visitors from other poultry keeping premises, control vermin and provide facilities for boot washing and dipping and disinfectant. Although they were very happy to get out they were a bit disorientated and tried to nget back inside to the nest boxes they have been using. Hens have a very powerful drive to get to their chosen nesting places and will navigate complex mazes to do so. I am keeping them in their field houses until mid morning, that way they are forced to use the laying boxes provided for them and will soon get used to the change. There is a down side, the eggs are dirty because the hens now have dirty feet so eggs need to be washed.